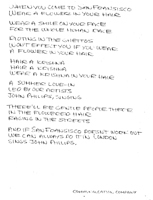 Abstract: Lyrics with a twist. 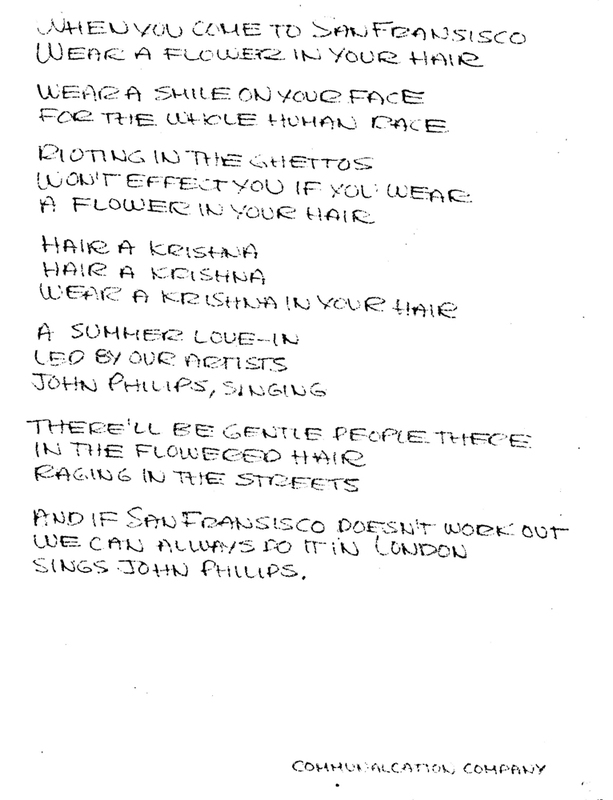 "..Wear a smile on your face, For the whole human race, Rioting in the ghettos, Won't effect you if you wear a flower in your hair, ..And if San Francisco doesn't work out, We can always do it in London, Sings John Philips." Notes: Variant in Anderson MSS, BANC, has B.S. on orange pa, r.s. being "The ORIFICE Vol 1, Page ? HOW TO TAKE LOTS OF METH (DROP) AND LIVE TO TAKE IT AGAIN AND AGAIN [..]"